We give great support on our machines include online assistance direct to your pc, Free technicians and will not charge you labour for the lifetime of the machine you buy. 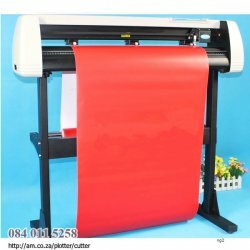 Check out our high tech Vinyl Cutting Plotter, an essential tool for both signage business and hobbyists of vinyl cutting. With our easy-to-use control panel & software, you can cut out beautiful vinyl signs and artworks for display on your medium of choice. Our Vinyl Cutting Plotter supports all popular Windows Systems: Windows XP, Windows 7 and Windows 8 on both 32 & 64Bit Windows systems. Or contact at 0840115258 when you have any questions about our product or its add-ons. You can never have too many cutting blades. Our vinyl cutter comes with three Roland cemented carbide blades with knifepoint offset 0.25mm - 1.0mm. Along with the blades are Roland Blade Holder and Pen Holder. Take advantage of our Free professional Vinyl Cutting Plotter software offer: Artcut Software, with selected combo. You can design with it and control the cutting plotter functions as well. A very best software in the market! and feel free to CALL at 0840115258. I can address your queries and help you make an informed decision. for Laser Engraver, Vinyl Cutter, CNC Routing Machine and CNC Plasma and more.